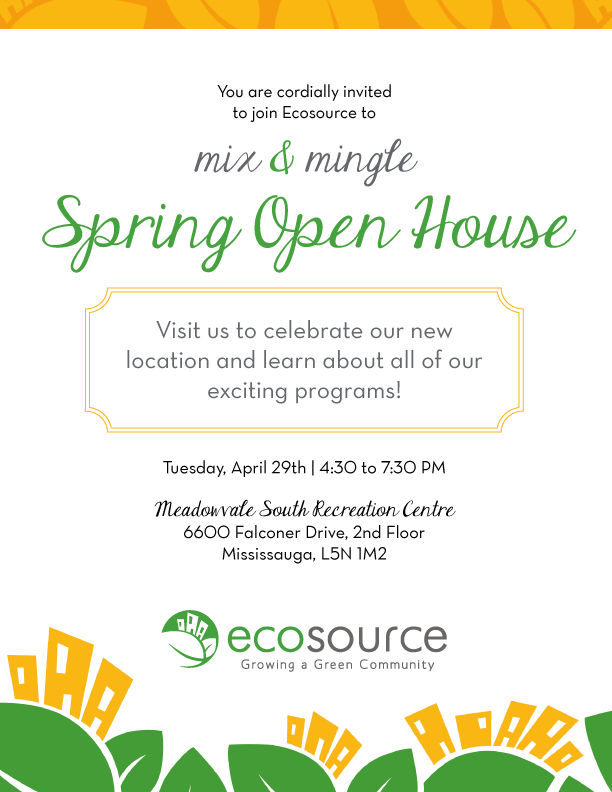 Using Adobe Illustrator, I created this simple double page invitation, sized at half-letter paper using the brand guidelines of the organization. 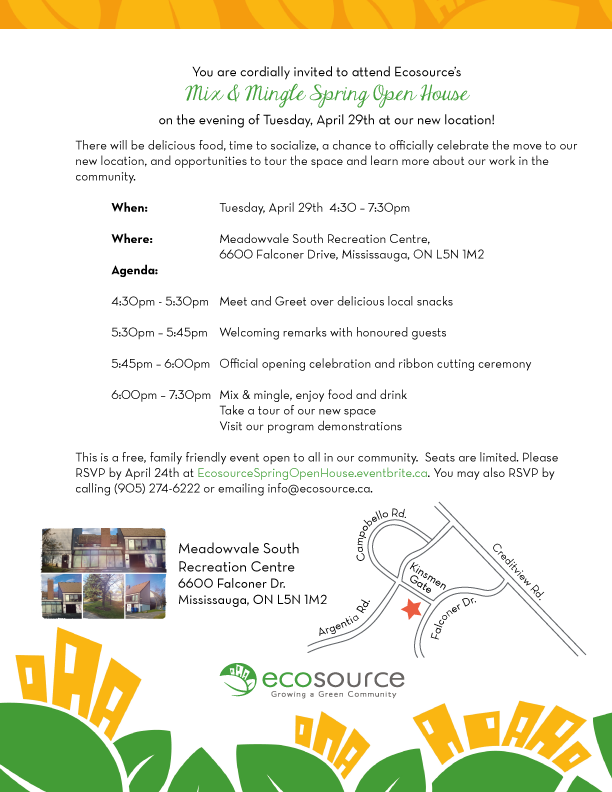 This invitation (valid and open to those interested) is for the Ecosource Spring Open House happening on April 29th. The photos depicting the building from different angles were taken using my Nokie Lumia 920 mobile phone, and the directions were created on Illustrator using mostly the line and pen tools.